From the Star Wars collection by Comic Images. Star Wars Chewbacca Small Slippers. From the Star Wars collection by Comic Images. 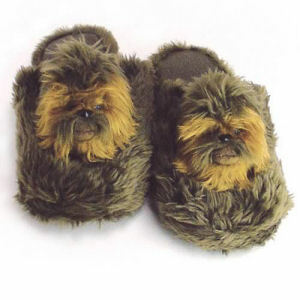 Star Wars Chewbacca Small Slippers. Fits Mens shoe sizes 7-8. Comic Images Star Wars Attire shipping from Canada. No Surprise Border fees or Customs!